In order to get from the airport to Parramatta, you will need to take either a taxi or a train. A Sydney airport taxi will take around 35 minutes and will cost around 62€ (AUD$99). If you wish to take the train, the cost is far less but the journey more complicated. There is no direct train between the airport and Parramatta, thus a transfer is required at the central station. There is no direct train line from Sydney Airport to Parramatta. Therefore, you will need to take a train to the city's Central Station, and then switch to another train from here to reach Parramatta. The Paramatta train is on the Western (T1) Line, or the Inner West (T2) line and alight in both cases at Parramatta Station. The journey should take around 45 minutes in total. How much does the train from Sydney Airport to Paramatta cost? The cost of the train between the airport and Parramatta is based on distance traveled, therefore you can expect to pay 11.20€ (AUD$17.75) for the journey in off-peak hours. The trains are available between 05:00am - 12:00am, 7 days a week. The train leaves from the platforms at Sydney's Domestic and International Terminals. The stations are accessible from the arrivals sections of both airports. The train for Parramatta leaves from the central station at Platform 18. Although a cheaper option, the indirect route of the train means that there is an extra travel time to your journey, as well. There is also a bus service to Paramatta leaving from the central station that you can take - N60, N70 and N71 all depart to Parramatta Station. However, they have multiple stops and take an additional 15 minutes over the train. The bus is a cheaper option at AUD$4.60, but longer and more uncomfortable option than the train. There will be a higher charge if you decide to take the train during the peak hours of 07:00am - 09:00am and 04:00pm - 06.30pm weekdays, and there will be no Opal card discount using the services in these hours . 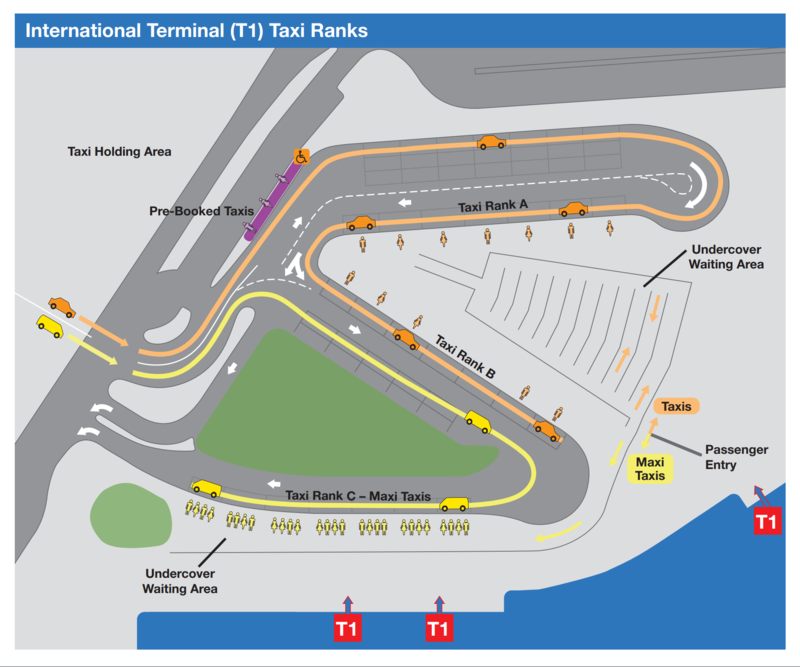 Sydney Airport provides efficient and comfortable taxis available from ranks at the airport in a variety of sizes. There is no strict colouring for taxis as they are operated by a variety of companies but all are trustworthy. Hiring a taxi from the airport to Parramatta is the only direct route available and will take around 35 minutes in normal traffic. The taxi will be expensive for the trip to Parramatta, and the metered fare can be changeable. You can expect to pay around 62€ (AUD$99) for the journey. Night-time rates are in effect for the taxis between 10:00pm - 05:59am, and therefore the journey can cost up to 74€ (AUD$117.50). There will be an AUD$2.50 fare added to the journey if you take the taxi between these times on Fridays and Saturdays. Taxis are comfortable, efficient and convenient for those arriving into Sydney. They will provide a safe transit and unlike public transport is a direct method of getting to Parramatta. They are also most convenient for those travelling with luggage. During peak hours, there will be supervisors along the taxi stand to assist you with any issues you may have and to help you quickly get the taxi you require. You can always ask the fare of a taxi before you take the journey. For larger groups, taxis are a more convenient option for cost as the fare can be split. 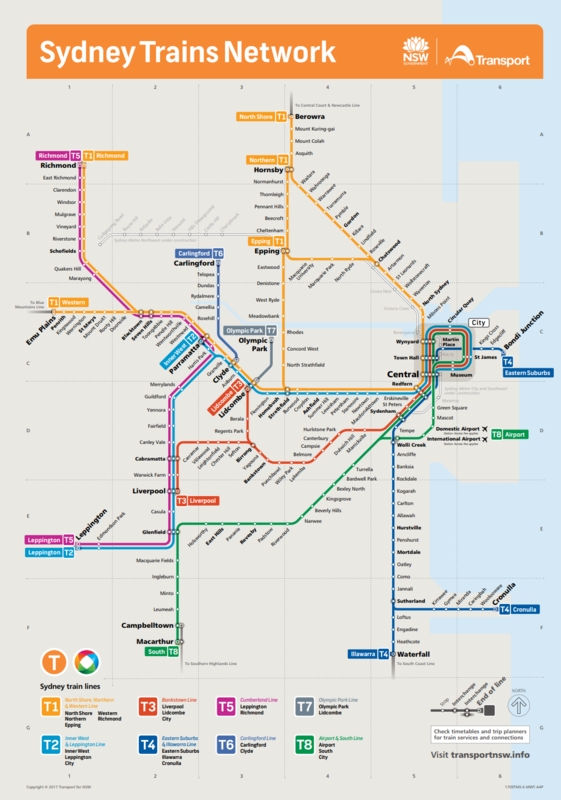 How many transport options are there between Sydney Airport and Parramatta? 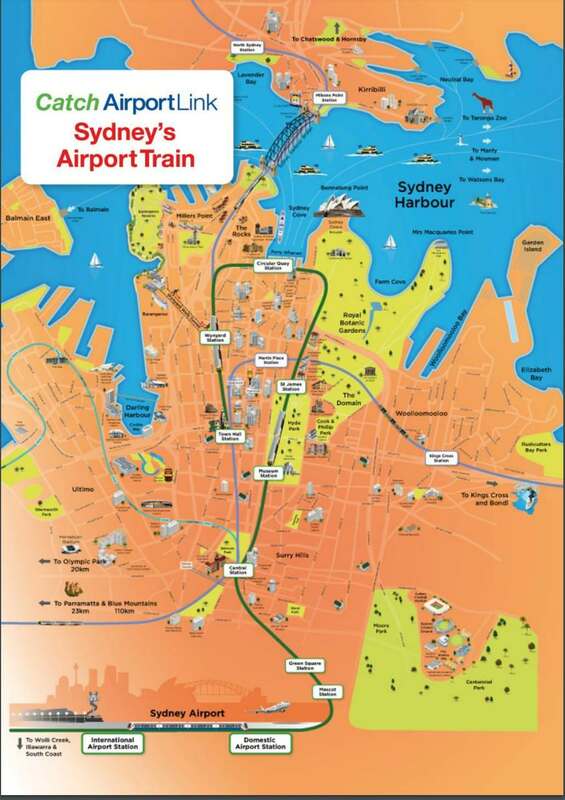 There are two transport options, via train or taxi, from Sydney Airport. There will be a requirement for you to change trains at the Central station if you choose this option. How far is Sydney Airport from Parramatta? Sydney Airport is located 30km from Paramatta. A journey by taxi should take around 35 minutes between the two. What is the cost of a taxi from Sydney Airport to Parramatta? The cost of a taxi varies due to night-time rates and the fact that the taxis are metered. However, you can expect to pay around 62€ (AUD$99) for this journey in normal conditions.